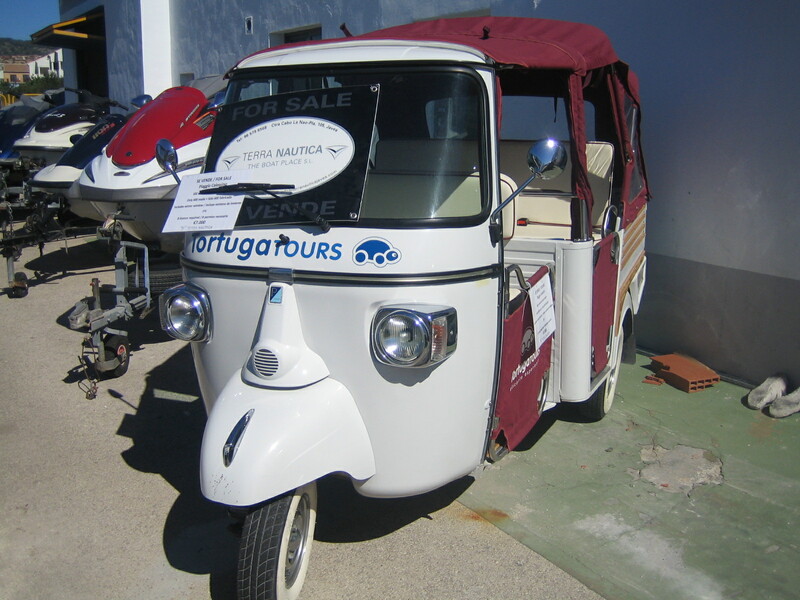 We do like the quirky things at Terra Nautica so this week we would like to show you this fun little non watersport related vehicle, its a 500cc Lombardini diesel powered Tuk Tuk in a Piaggio Calessino body. This would make a great promotional vehicle for a business or just a funky little run around, come and take a look! Its up for sale and available to view at the showroom on the Cabo de La Nao, call us on 965796568 for more info.